Williams and Canada Pension Plan Investment Board to Form a US$3.8 Billion Strategic Joint Venture Partnership in the Marcellus/Utica Basins | Williams Companies, Inc.
TULSA, Okla. & TORONTO--(BUSINESS WIRE)--Williams (NYSE: WMB) today announced a series of transactions that will establish a new platform for the optimization of its midstream operations in the western Marcellus and Utica basins through a long-term partnership with Canada Pension Plan Investment Board (“CPPIB”). Canada Pension Plan Investment Board (CPPIB) is a professional investment management organization that invests the funds not needed by the Canada Pension Plan (CPP) to pay current benefits in the best interests of 20 million contributors and beneficiaries. In order to build a diversified portfolio, CPPIB invests in public equities, private equities, real estate, infrastructure and fixed income instruments. Headquartered in Toronto, with offices in Hong Kong, London, Luxembourg, Mumbai, New York City, São Paulo and Sydney, CPPIB is governed and managed independently of the Canada Pension Plan and at arm's length from governments. At December 31, 2018, the CPP Fund totalled C$368.5 billion. 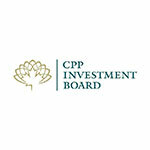 For more information about CPPIB, please visit www.cppib.com or follow us on LinkedIn, Facebook or Twitter.